This Barolo Riserva is produced with a careful selection of the grapes originating from the vineyards of Casa E. di Mirafiore. It is a blend of various wines coming from different vineyards, and this barolo has an intensive garnet colour and releases aromas of spices, red fruits and even leather and dry mushrooms. 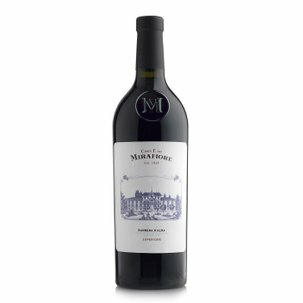 When tasted it reveals itself as an important wine, almost sweet at the start, velvety and welcoming, warm and full bodied. Alcohol 14% vol. You will surely appreciated this wine after a meal, and its structure is perfectly matched with meat dishes as well as medium-aged and aged cheese. This wine has antique origins: its origins go back to Emanuele Alberto, Count of Mirafiore, a legitimate son of King Vittorio Emanuele II and Rosa Vercellana. The Count of Mirafiore was the first to have the idea of transforming his farm into a winemaking house. 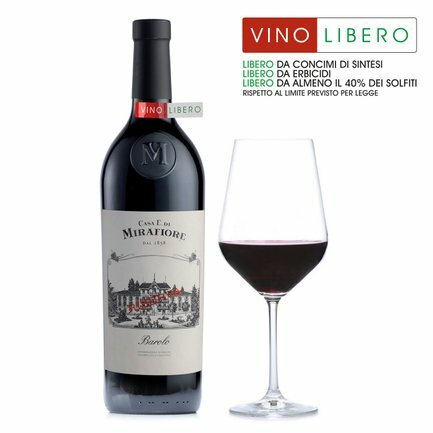 The result was a line of extremely high quality wines that are inspired by the great tradition of Piedmontese wines, and which today still have the original historical label of “Casa E. di Mirafiore”.